The 72 lessons in this curriculum will provide foundational teaching and offer great insights into both the Old and New testaments. It will help you build on the foundation established by your children’s ministry. Bridge the gap between children’s ministry and youth ministry with LIVE™ 5th and 6th Grade. It’s a powerful tool for helping younger students explore key biblical truths and scriptural moments—all while helping them live Jesus-centered lives as they discover what the Bible is all about. 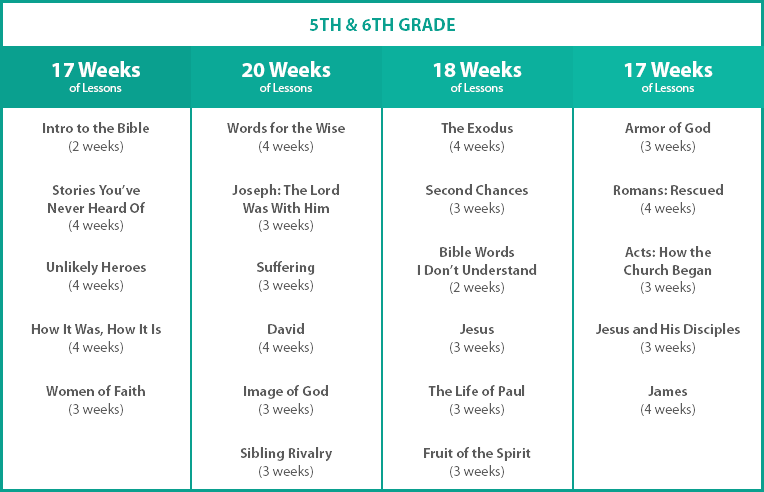 The 72 lessons in this curriculum provide foundational teaching and offer great insights into both the Old and New Testaments. They were developed by Kurt Johnston, Scott Rubin, Brooklyn Lindsey, some of the leading in-the-trenches, preteen-specific youth workers in ministry today. Build on the foundation established by your children’s ministry and prepare students for the junior high and high school years to come. You can trust LIVE to support your life-shaping investment in your younger students. Maximize Impact: Intentionally help 5th and 6th graders experience the power and truth of Scripture. Do you oversee a broad age range of students in your ministry? Are you eager to engage your younger students in a dynamic curriculum that bridges the gap between children’s ministry and youth ministry? That’s why we created LIVE 5th and 6th Grade! It’s a powerful tool for helping younger students explore key biblical truths and scriptural moments—all with the goal of helping them live Jesus-centered lives as they discover what the Bible is all about. The 72 lessons in this curriculum will provide foundational teaching and offer great insights into both the Old and New testaments. It will help you build on the foundation established by your children’s ministry, and prepare your students for the junior high and high school years to come. This is an ideal resource for youth workers who lead a three-year junior high ministry, people who serve in any youth ministry setting, or anyone who has a heart for seeing young students experience the power and truth of Scripture. LIVE 5th and 6th Grade was developed by Kurt Johnston, Scott Rubin, Brooklyn Lindsey, and some of the leading in-the-trenches, preteen-specific youth workers in ministry today. You can trust LIVE to support your life-shaping investment in your younger students. The 72 lessons in this curriculum will provide foundational teaching and offer great insights into both the Old and New testaments. "It was recommended to me by our Student Pastor, who has used your curriculum before. I downloaded the three- lesson demo, and our small group leaders gave it the thumbs-up!"